Nowadays, almost every one of us using online currency converter sites for converting a particular currency into another. Because, we know it is the most reliable form of currency conversion which can also be used by many brokers, businessmen as well as financial firms. Now, if a person wants to create or convert their site into a currency converter website then, this article is made for them. In this article, we have compiled a list of 5 PHP currency converter script using which you can create an online currency converter for your website. After applying these scripts in your site, the entire task of currency conversion and calculations can be done within a few clicks. Your users just have to select the currency to or from they want to convert and rest of the work done in seconds. Some more useful must visit PHP blogs!!! Let us have a look on each PHP currency converter script and discuss their features in detail. Moko PHP script helps you to create your own currency converter website. It supports more than 170 currencies so, your users can convert their respective currencies in the fraction of time. Further, the script provides you a beautiful design template with lots of customization options. Here, you can change almost everything such as site title, description etc. Moreover, you can showcase real-time currencies rates in the title bar. Moko Currency Converter PHP script also allows you to add configurable bitcoin donations wallet link in your website. It is an AJAX based script which helps in updating parts of a website page without reloading the whole page. This helps in increasing website speed and decreases load time. The script supports Google AdSense using which you can add various advertisements in a particular space of your site. You can buy this Moko PHP currency converter script at just $17 along with 6 months support, and regular updates. Also, the extended license is available at $205. As we know that cryptocurrencies are virtual money. And, this PHP script helps you to convert your cryptocurrencies into various country currencies. It supports more than 1300 cryptocurrencies. 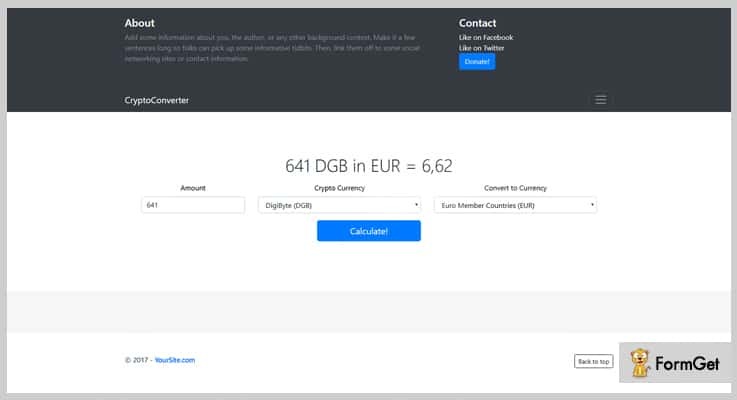 Here, your user can convert almost any standard cryptocurrency into their respective currencies. This script supports Google AdSense for monetization using which admin can display ads on their website. In addition to this, for each ad click, they get money from sponsors. It helps in storing caches from the external API. This will improves page load time and gave a faster response to users. No database is required for using this script, you just have to copy and paste the code in your site and your currency converter site is ready in few clicks. The regular license will cost you $11 with quality checked by Envato. You can buy the extended license, at a reasonable price of $45 where you will get advanced features and regular updates. One of the simplest yet effective currency converter script which is used to convert various currencies such as $ to € or vice versa. It is easy to install script comes with unique responsive designs and beautiful prebuilt templates. Your users can easily get to know about updated latest currency exchange rates at which one particular currency will be exchanged for another. The script using AJAX technology with the help of which your site loading time will be decreased. Further, your site page will be updated without refreshing. Currency Converter PHP script supports more than 158 currencies conversion. Some of them are United Arab Emirates Dirham, Afghan Afghani and more. Grab the regular license of this script at a minimal price of $7 with 6 months support. Further, you can buy the extended license at $21 with some more enhanced features, and complete support. By applying this script on your website your users can convert their cryptocurrency with ease. It is very easy to install script, there is no database or API key required for using this script. 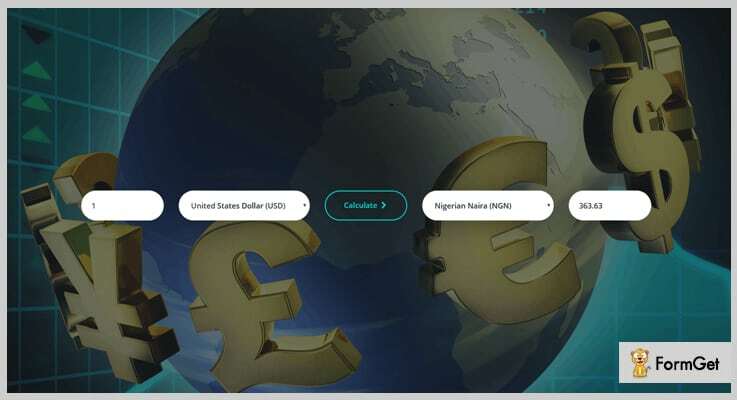 Further, it also helps you to showcase exchange rate of various currencies on the homepage of your website. Also, you can display the latest conversion information on your website frontend. 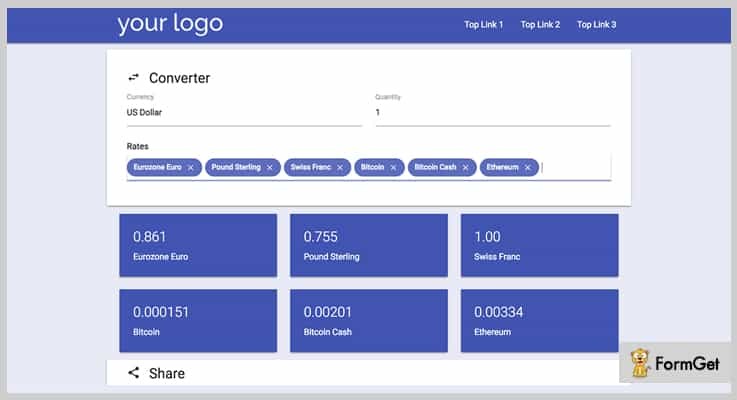 It supports more than 1,500 currencies for conversion some of them are BTC, LTC, ETH, and a lot more. The script is highly secure as it prevents your site from CSRF attack so, your users cannot transmit unauthorized commands in your website. 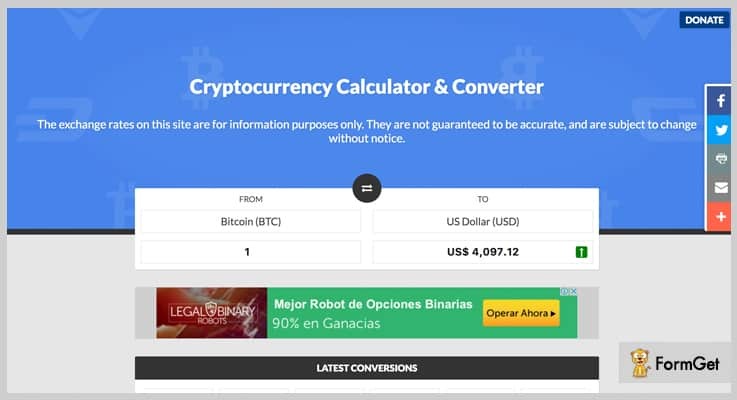 Crypto Currency Converter PHP script supports HTTPS through which the communications between users browser and your website are completely encrypted and secure. Regular License – It is available at $16 where you will get support up to 6 months, future updates and more. Extended License – Buy this plan at $105 with all the features present in the regular license along with some more enhanced features. 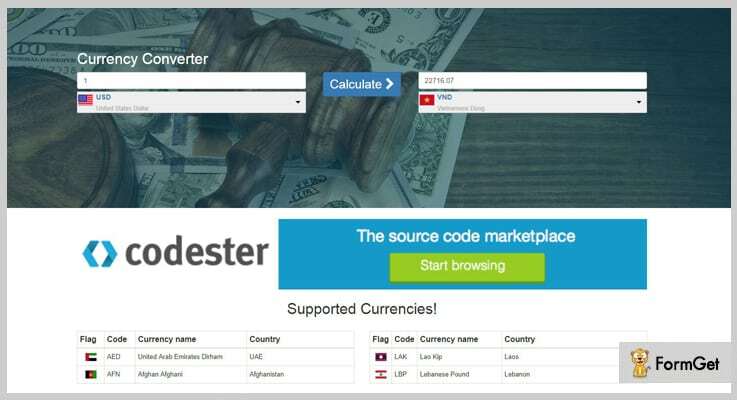 Universal Converter PHP script helps you to create a global currency converter on your website. Using this converter your users can convert more than 1500 currencies in just a few clicks. It supports more than 156 government currencies eg. US dollar, Eurozone Euro and more. Also, your user can convert various cryptocurrencies into country currencies and vice versa. This script provides you with various inbuilt themes from which you can choose and apply on your website to give your site a better presentation. It displays exchange rates on your site which can be automatically updated without doing any manual process. This saves your time and makes your site faster. It has 2 pre-built ads areas where you can display ads and easily monetize your pageviews. Universal Converter PHP script is available at $9 with all the important features and supports up to 6 months. You can even extend your support up to 12 months by paying only $1.50. These PHP scripts provide you with an easy and reliable online currency converter website. You can buy any one of them according to your need, as all the scripts are listed after a long research. If you have any suggestions or doubt please let us know, you can ask your queries in the comment section below.